This one-day course teaches trainees the best methods, chemistry and techniques for cleaning, maintaining, protecting and carrying out spot removal treatments on a variety of natural fibre carpets, rugs and textiles including: sisal, viscose, silk, bamboo, sea grass and coir. 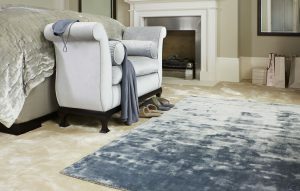 These fibres are becoming more prevalent in high-end rugs and carpet and present a considerable challenge to even the most experienced cleaners. Understanding what results are possible and how those can be achieved are crucial in maintaining your customer’s confidence while managing their expectations. Interested in this course? Be the first to hear about upcoming dates.